Yesterday, at past eleven in the morning, there was a very strong earthquake, the strongest and longest that I have felt in my life. This was followed by others of lesser intensity, occurring at intervals of 15 to 20 until this morning. The two stone houses of the Filipino proprietor, Don Eulogio de la Cruz, which were completely destroyed; the house occupied by Messrs. Gerona and Dimayuga; another one occupied by Messrs. Trías and Simón Tecson; the new civil hospital; two stone houses occupied by the club; and the tribunal-house presently occupied by the Court. Also destroyed were a portion of the house occupied by the owner, Mr. Dungca; the walls of the stone house which served as a government-house; the house of the Fiscal (roofing and the garden fence); the big college and the public school which had cracks; one side of the house that was occupied by Don Pablo Ocampo and Mauricio; the roofing and walls of the convent; and the tower which was split from top to bottom. It is said that of the total houses in the whole town, only three or four remain habitable. Big holes were formed in front of the Protestant church and in various areas. A long crack on the ground, starting from the sea cuts through the different parts of the town. Water gushed forth from some of these holes, inundating a street. Fortunately, there were no personal casualties. At about nine o’clock this morning, all my companions in exile boarded the ship Warren from San Francisco to Manila. It was a sad farewell and there were many who wept. We all wished them a happy trip and we hoped everyone would find the happiness that their hearts were longing for. Only Mr. Ricarte, Aquilino Randeza, my brother and I remained. I have been notified by the Captain about a letter from the Governor, saying that the latter had no authority to send us to Manila, without having taken our oath. He says he must transmit my wishes to the Commander General of the Philippine Division through the next ship and most likely, the response will be received here by the end of December. If the reply is favorable, we could embark in January. Be patient, this could be “a blessing in disguise” as the saying goes. It is worth knowing that a proclamation of the President of the United States, endorsed by the branch Secretary, cannot be interpreted nor implemented to the letter. The news of the amnesty is confirmed by the ship that has just arrived. Among the passengers who have come to visit the prison, Messrs. Buencamino and Abreu are worth-mentioning here since the impressions they brought from the United States were too optimistic, I became pessimistic about the whole thing. They were surprised to see that we were still here and promised to negotiate our early return as soon as they got back to Manila. The foregoing petition did not merit any action and was given a silent response instead. In addition to this, we have not been getting our supply of rice and oil lamp for a month. One day, the Captain, with a frowning face talked to me very sarcastically, because I told Mr. Llanera that as President he should ask for these items in behalf of the prisoners. Since then, I dared not ask for anything. The ship that has just anchored brought news that a general amnesty was published on July 4. Although this is not official, since the ship left San Francisco on the first day, it nevertheless lifted the spirit of the disheartened and the hopeless. “That the manual work aimed at the well-being of the prisoners, is still being performed by individuals who came here as servants, to some, not all the prisoners. Some of these servants have been performing said job even for those who are not their bosses. “Since some of our companions who have brought along the most number of this group have transferred to Agaña, the servants who have remained in the establishment refuse to serve those who are not their employers. 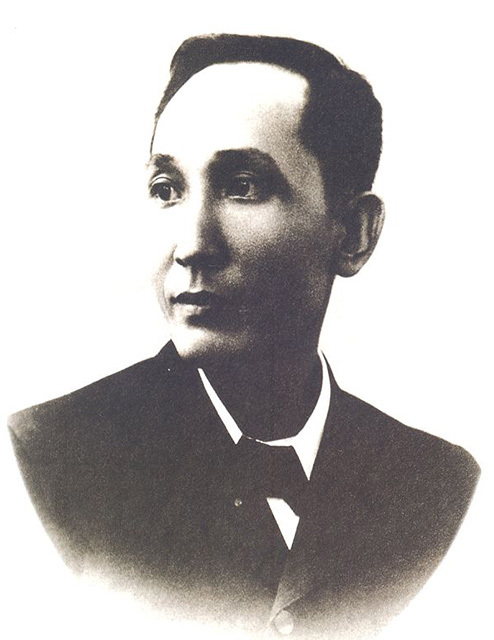 A few prisoners, such as Mr. Mabini’s brother and Don Francisco de los Santos’ son, claim that they (the servants) came solely out of affection and in consideration of their relatives. Others have done so to return the favors they received from their respective employers; therefore, it is very unfair to make them serve other people to whom they have no obligation at all. “Request you to assign two young men, under the employ of the Government, to perform manual work in the Prison house, such as house cleaning for exempted persons, fetching water and rationing, etc. The undersigned are convinced that you will do everything to grant this request. This petition was brought about by a series of discussions and arguments among the prisoners for a long time. Each one feels that doing another, who naturally, can not do anything but grumble. These discussions make prison life all the more boring. Now we must know if the Americans will get rid of this problem. Maybe they don’t understand, neither do they feel sympathy for us. One can not deny that all men are of the same nature, they are all alike, even if they have diverse cultures, no matter how each nation claims the contrary, in the name of national pride. In response to the preceding questions, Captain McGill said that the servants are considered prisoners and they will take turns by fives, along with the 23 prisoners who signed the petition; that riding in the ambulance is not possible; and that the goods brought in or taken out by the prisoners shall be inspected by the Officer of the Day. In view of this order, Mr. Llanera issued a communication to the Captain and asked: First, for purposes of compliance, if those who are considered servants shall be considered prisoners, or can they accompany the five prisoners, if they so decide, since they are not actually prisoners; second, if the visitors can ride on the car; and third, if they can bring along some foodstuffs from the Prisons.